At the Ghayal Once Again trailer launch event, Sunny Deol revealed that if the film succeeds at the Box-Office, he would love to reprise many of his iconic characters from his movies released in the 1990s. 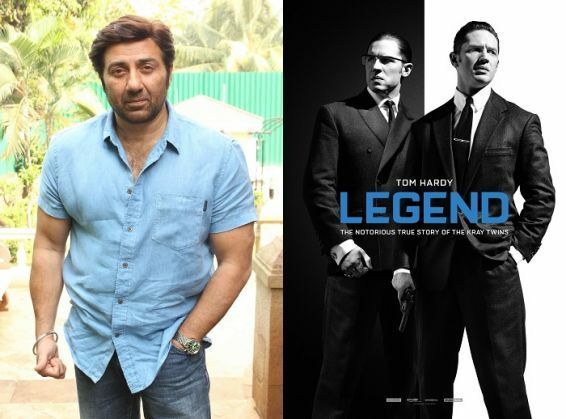 Sunny Deol, who has never essayed a character with shades of grey in his career, might just do that soon as he is talks with a Hollywood production house to get the remake rights of Tom Hardy's Legend. "I have been a fan of Hardy since the days of Sucker Punch (2008). I recently saw Legend in the US along with my kids, and we were absolutely thrilled by Hardy's performance. Watching the film has made me want to remake it in Bollywood, and I am in talks to do so." Ghayal Once Again releases on 15 January 2015. READ NEXT >> We can now edit genes in human embryos. Are we ready for custom babies?